Devorah, an obedient member of the Hasidic Jewish community, steps onto the wrong elevator at the wrong time. 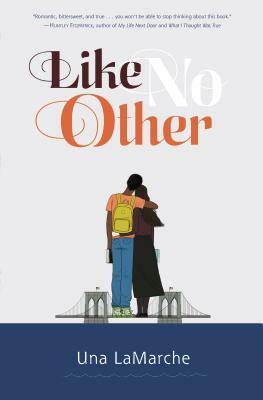 A power outage thrusts her into forbidden conversation with Jaxon, the hard-working, nerdy son of West Caribbean immigrants. Unable to stop thinking about each other, Devorah and Jaxon risk everything for an ever-deepening romance. I like the teen romance aspect of this book. Jaxon and Devorah were easy to enjoy as characters and easy to root for as a couple of Romeo and Juliet-style star-crossed lovers. The true fascination of the book, however, was Devorah’s questioning of her ability to live within the bounds of a strict religious community – in this case, Hasidic Judiasm. Devorah is a good girl who had always obeyed the many rules of her faith. After a perfect storm of events leaves her stuck in an elevator with Jaxon, a boy not only from different cultural roots but from a completely different lifestyle, she finds herself pulled to him. Something in her compels her to pursue a secret relationship that changes her view of her family, her faith, and her future. 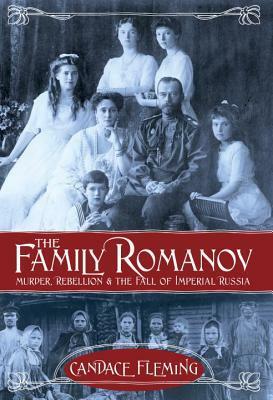 This book has great characters, fascinating cultural insights, and an ending that is, well, like no other. 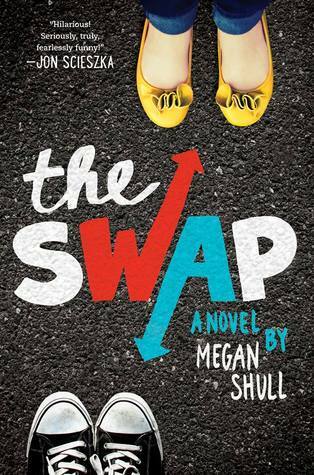 Ellie is a seventh grader slowly sliding off the bottom rung of the social ladder after her best friend turns mean girl over the summer. Jack is a boys boy in a family of boys boys obsessed with hockey, workouts and winning. Both battling some private demons and public humiliation, they end up in the nurse’s office on the first day of school, each feeling the other must have it so easy. A wish, a few words from the mysterious nurse, and BAM! They’ve switched lives just in time to go home for the weekend and find out. I was leery of this book because I’ve seen Freaky Friday a bunch of times and feared the story would be overly familiar. Granted, it is the same general idea, but so well done and entertaining. It was sort of Freaky Friday meets Strangers on a Train. The characters who swap lives and bodies don’t really know each other. They live in radically different households and occupy decidedly different rungs on the social ladder of their middle school. This story isn’t about understanding each other. It’s about Ellie and Jack each using their unique strengths to force change in the other’s life. It’s that great combination of funny and touching that I am a total sucker for. It’s good, clean fun for middle grade readers with enough substance to also appeal to the high school crowd. I adored Jack’s three burly, boisterous brothers who – despite the boyish smells and odd fitness rituals – were truly good guys. Sometimes, you get so fixated on trying to make the wrong person like you that you miss the fact that you have true, blue friends that are more worthwhile. After witnessing a murder while traveling on the maiden voyage of the most elaborate train ever conceived, Will Everett is on the run from a gang of scheming brakemen, jumping from car to car in the night. His only asset is his wit; his only allies, a gaggle of circus freaks; and his biggest challenge, the very real sasquatch and bog hag lying in wait along the way. You would have thought Will Everett experienced enough excitement for a lifetime after a chance encounter led him to pound the final spike into the TransCanadian Railway and then survive the avalanche that followed. 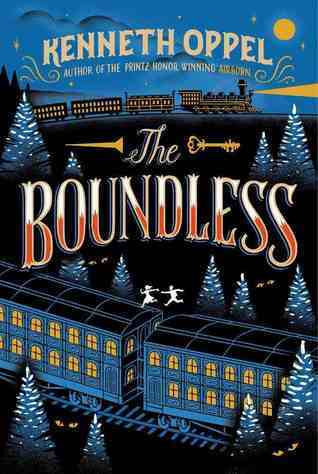 But only a few years later, he launches into the adventure of a lifetime on The Boundless, a train of epic proportions making its first trip across the same TransCanadian Railway. A murder witnessed sends Will on the run, careening through the night across the top of the train, hiding out in a circus, and being pulled into a web of double-crossing intrigue. In a world where sasquatch and bog hags are real, an escape artist is his only true friend, and brakemen are out for blood, Will needs every ounce of his courage to survive his ride on The Boundless. Kenneth Oppel has really outdone himself here, with quirky characters and madcap action that deliver high entertainment value all around. One of the elements I most enjoyed from Popular: Vintage Wisdom for a Modern Geek by Maya Van Wagenen was the periodic insertion of “Maya’s Popularity Tips,” which ranged from tongue-in-cheek to hilariously specific to perfectly serious. They certainly could not be confused with the prim and proper tone of the 1951 advice she is following from author Betty Cornell. Never throw up in class. It’s better just to run out of the room and retch in the hallway. Even if you make it to the trash can in the corner, if anyone sees you puke, you will be tormented forever. During elementary school I hurled in a wastebasket. When we moved away five years later, the last thing one boy said to me was, “You’re that girl who barfed in kindergarten.” It’s impossible to live some things down. When you’re wearing an embarrassing hairstyle and people have started to notice, it’s always safest to have a sudden, urgent, need to pee. Bite your tongue off before nerd-talking about Lord of the Rings to the boy you like. Unless he himself is from Middle Earth. Don’t question your wardrobe choices based on someone else’s religious intolerance. Laugh at your friends’ painful situations only after they give you permission to do so … or when no one else is around. Popularity is more than looks. It’s not clothes, hair, or even possessions. When we let go of these labels, we see how flimsy and relative they actually are. Real popularity is kindness and acceptance. It is about who you are, and how you treat others. P.S. 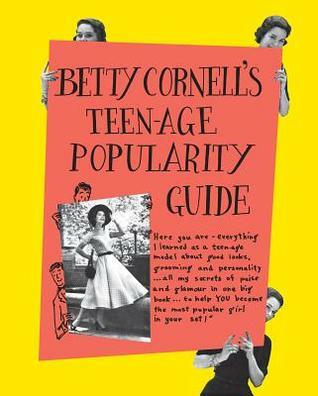 Betty Cornell’s Teen-Age Popularity Guide has now been republished and is available in bookstores and libraries for readers who want to enjoy the text that inspired Maya to live and write Popular! 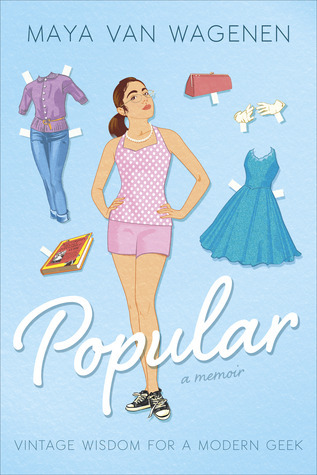 At age 13, Maya Van Wagenen comes across Betty Cornell’s Teenage Popularity Guide from 1951 and decides to take on a secret project: follow the advice for a year and see how it affects her popularity as a modern middle school student in Brownsville, Texas. Her diary from that extraordinary and sometimes disastrous year has become an engaging memoir, peppered with her own memorably funny popularity tips for the next generation. Headed into her 8th grade year clinging to the bottom rung of the popularity ladder, Maya Van Wagenen makes possibly the strangest choice she could have. She decided to systematically, month-by-month, live according to the advice set out in a battered, found copy of of Betty Cornell’s Teenage Popularity Guide published in 1951. Yep. Sixty-year-old fashion and exercise tips for an awkward girl attending a high-poverty middle school where class is interrupted at times by things like two pregnant girls (7th and 8th grade) fighting in the hall or another visit from drug-sniffing dogs. The thing is – it works … on many levels. Maya gets a lot of attention, negative and positive, but actually does become popular in a meaningful way. And it works as a story. Maya’s voice as the author is engaging and honest. She is not overly precocious or silly. She’s a smart, thoughtful girl looking with no small amount of humor at her own life. Other teens should find it easy to relate to many aspects of her experience. I loved that the family tracked down Betty Cornell about 3/4 of the way into the experiment and loved even more how gracious and supportive Betty was. Maya’s family seems awesome. She talks about lacking and building confidence through her project, but it’s clear that she has a solid, loving foundation that gave her the basic guts to do any of this. 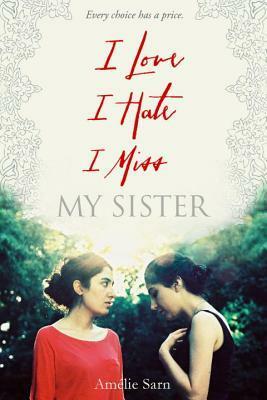 Devout Muslim Sohane struggles to deal with her grief and conflicting emotions about her more worldly sister, Djelila, who has been killed by religious extremists. Heart-shredding sadness abounds in this gorgeously written story of two French sisters of Algerian descent. Sohane is older. A devout Muslin, she has made the choice to wear a hijab (headscarf). Her family is baffled, the women in her community are indignant, and her school expels her. Her younger sister, Djelila, is on another path, rejecting their Algerian and Muslim heritage, wearing jeans and revealing clothing, and playing basketball at their French school. When her path crosses a gang of punky Muslim teens who want their women more traditional, the situation becomes deadly, leaving Sohane to struggle wit an almost unbearable burden of anger and grief. The elegance and poetry of the writing is simply stunning. This book is a deeply painful reflection on freedom and the many ways in which people interfere with each other. There are insights into both expat Algerian and French culture that are both puzzling and worth thinking about. The story has its roots in an actual crime in France, which makes it all the more tragic.